For many of us, dramatic court room scene in a movie or TV serial leaves a lasting impression. For others, the impressive sound-bytes of successful lawyers who ventured in politics and become spokespersons of a party leave a lasting impression. Usually it is influences like these, which make us think about Law as a Career. Little do students and their parents realize that taking a law degree and becoming a successful lawyer takes a lot of career planning and joining one of the Top Law Colleges in India is just one of the steps in this process. If you want to pursue law as a career, then there are courses available both at the UG and the PG level. For the Under Graduate course, one has to go for a 5 year integrated LLB course, all the students, studying in any stream are eligible after 12th . For a 3 year LLB course, one has to be a graduate in any stream. These days many students are opting for the UG level integrated LLB course as this law course tend to save 1 year in completion of the LLB degree. Earlier, it used to be a BA LLB course but the new courses like B Com LLB and B.Sc LLB are finding a lot of takers. The Top Law colleges in India that offer 5 year integrated LLB Course are NLSIU Bangalore and Nalsar University Hyderabad, NLIU Bhopal, NUJS Calcutta, NLU Jodhpur and ILS Pune. The 3 year LLB degree in law also has many takers. Delhi University and Government law College in Mumbai are the Top Law colleges that offer a 3 year LLB degree after graduation. Delhi University does not offer 5 year integrated course but the Government Law College, Mumbai offers both. The admission to the Top Law colleges in India is through entrance exams and generally they have similar pattern. CLAT is held for 2 hours and covers questions on English, General Knowledge/ current affairs Numerical ability, Legal Aptitude and Logical reasoning. The National Law University, Delhi conducts its own entrance test called AILET. For 3 year LLB course at IIT Kharagpur, the admission is through LSAT (Law school Admission test) Colleges like Amity, ITM, Gurgaon and UPES, Dehradun also take admission through LSAT. Delhi University conducts its own entrance examination to select students for admission to LLB course and LLM course. To become a successful lawyer you not only should complete the course requirements you also need to be a member of Bar council of India to practice. Having additional specializations can also give your law career a boost. The Top colleges of Law provide many specializations and Post Graduate Diploma’s like Securities Law, Intellectual property law and Cyber Law etc. This was the information about Top law colleges and LLB degree; however first and foremost one must find out if one is really cut-out for being a Lawyer. Yes, it is possible to find that and MapMyTalent’s MyTalent program, through valid and standardized Aptitude Test and Personality Test, finds out if Law is the BEST FIT career for you or not. 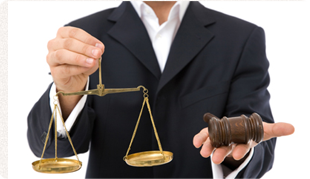 Find out whether law is the RIGHT Career for you!